Here one can learn related to Azure Steam Analytics and how Power BI visualization dashboard can be used for real time data analysis and helps to visualize fraudulent phone calls that are detected by a Streaming Analytics job in real time. Since, I am also currently working in Telco sector so this analysis helps me a lot. 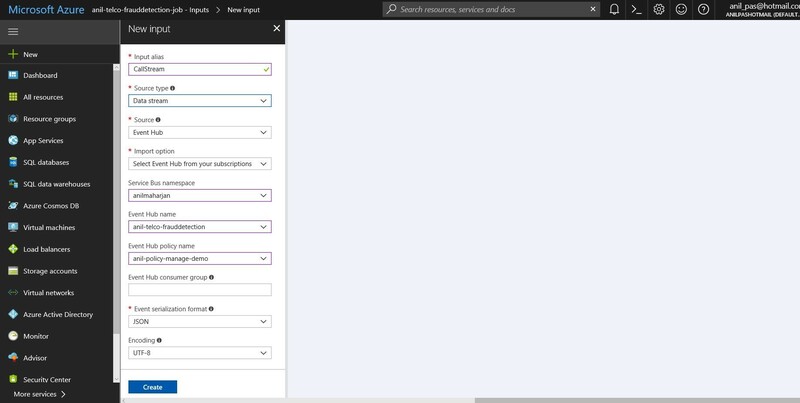 Bring streaming events into an instance of Azure Event Hubs. In this tutorial, you’ll use an app that we provide that simulates a stream of mobile-phone metadata records. Write SQL-like Stream Analytics queries to transform data, aggregating information or looking for patterns. You will see how to use a query to examine the incoming stream and look for calls that might be fraudulent. Send the results to an output sink (storage) that you can analyze for additional insights. In this case, you’ll send the suspicious call data to Azure Blob storage. Also send the results to an output sink (Power BI) where you can analyze for additional insights. How one can build real time telco fraud detection visualization dashboard in Power BI. In this tutorial, we use the example of real-time fraud detection based on phone-call data. But the technique we illustrate is also suited for other types of fraud detection, such as credit card fraud or identity theft. A telecommunications company has a large volume of data for incoming calls. The company wants to detect fraudulent calls in real time so that they can notify customers or shut down service for a specific number. One type of SIM fraud involves multiple calls from the same identity around the same time but in geographically different locations. To detect this type of fraud, the company needs to examine incoming phone records and look for specific patterns—in this case, for calls made around the same time in different countries. Any phone records that fall into this category are written to storage for subsequent analysis and also send those results to an output sink (Power BI) where one can analyze for additional insights and helps in real-time fraud detection based on live phone-call data . Now, Streaming Analytics job starts looking for fraudulent calls in the incoming stream. The job also creates the dataset and table in Power BI and starts sending data about the fraudulent calls to them. Once we finished creating Azure Stream Analytics job and output of that job to Power BI sink table name as ‘Telco_Fraud_Demo’ inside Data and BI Summit 2018 Workspace in Power BI Service. After that one can create real time visualization dashboard in Power BI. By selecting different visualization Type we can visualize and analyze for additional insights and helps in real-time telco fraud detection based on Streaming dataset. Also, in near future we can directly connect the dataset as Streaming dataset in near future as per below Power BI feature notice.